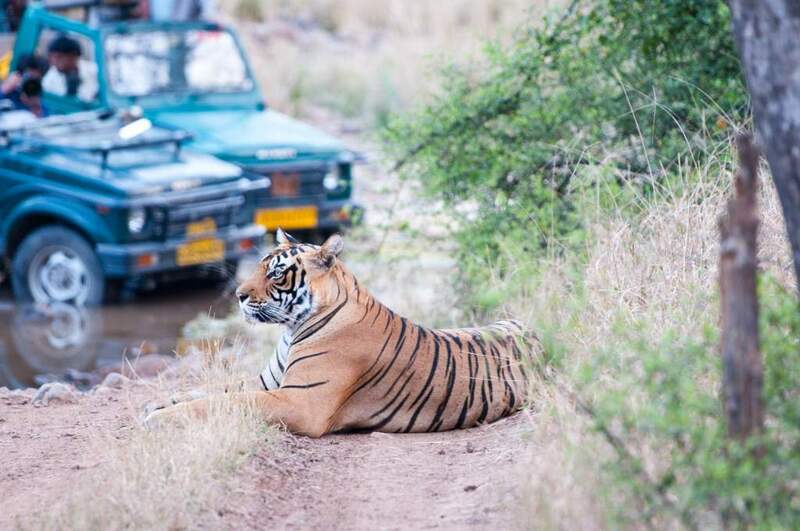 Taking a tiger safari tour in India is a great way to experience the natural heritage of the country. A wildlife safari holiday, such as the Wild Heart of India small group tour, can give you one of the most exciting wildlife experiences on the planet: seeing a tiger in the wild! At first, the only sounds you hear as you drive through the wildlife parks of central India are bird songs and the vehicle’s engine. Herds of graceful spotted deer nibble on grasses in the rolling meadows. 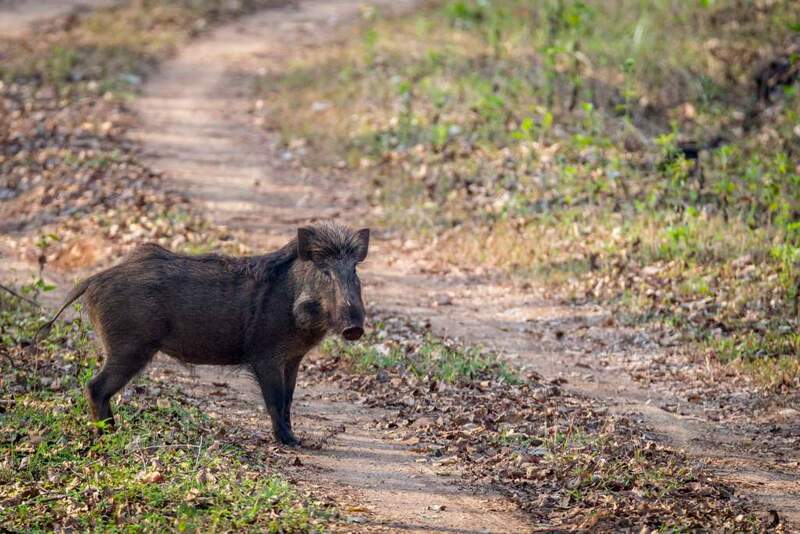 A family of wild boar suddenly scoot out in front of you. As you enter the forests thick with sal, bamboo, and other native trees, glossy grey langur monkeys scamper along the road. 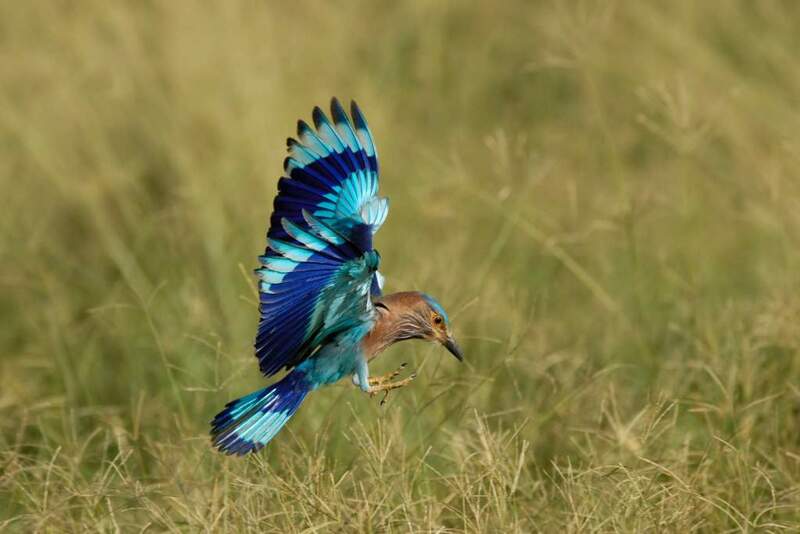 Colourful parakeets dart through the air to land in the branches of a tall tree and Indian rollers swoop in playful arcs. It’s all very peaceful, an idyllic paradise. The natural beauty and pristine wilderness lull you into a gentle and restorative reverie. But suddenly, one of the guides picks up a distant sound. At first, you don’t hear it. The driver stops and turns off the engine, and the guide jumps up to listen more carefully. This time, you hear it too – a kind of high-pitched shriek. It’s the alert call of an animal, often a deer or monkey, and it can only mean one thing: tiger! 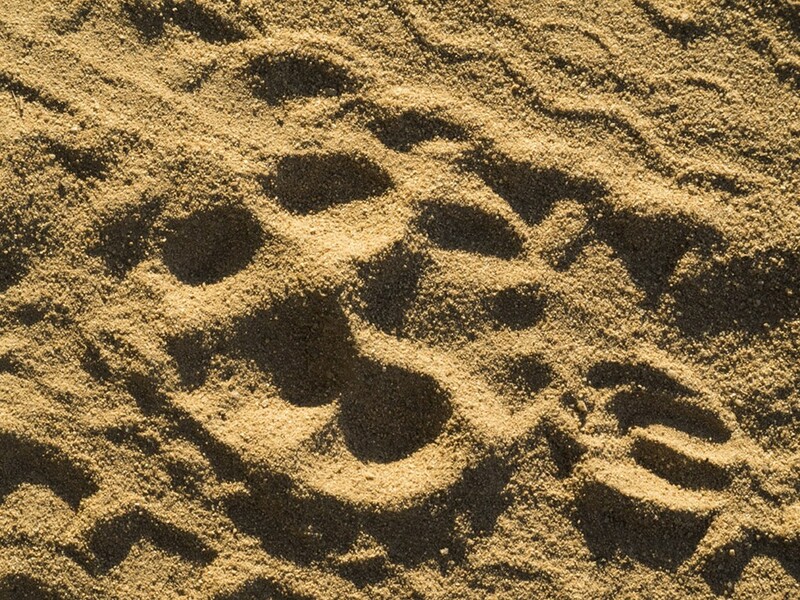 Along with spotting pugmarks and the informed knowledge of guides and naturalists, animal alarm calls are the best way to track the big cats in India’s tiger reserves. At the sound of the alarm calls, especially if they are consistent, the chase is on. Everyone sits down in the jeep-like vehicle, and the driver races towards the sound of the alarm calls – park speed limits permitting, of course. The excitement and tension rise as all eyes and ears strain to catch a glimpse of sinewy stripes. With luck, you will see one of these magnificent creatures emerge from the undergrowth. And you will be thrilled. Tigers electrify the forest, and everyone who beholds them. For many, it’s a life-changing experience. There are about 50 tiger reserves in India, and some of the best are in the central state of Madhya Pradesh. Among the top are Kanha, Bandhavgarh, Pench, and Panna. The tiger reserves of India are administered by the National Tiger Conservation Authority and their practices are helping to save the wild tiger from extinction. India is home to about 70% of the world’s wild tigers. In 2006, there were 1,411 tigers – which increased to 1,706 in 2011 and 2,226 in 2014. Kanha National Park is the largest tiger reserve in India, with a core area of 945 square kilometres. It’s considered one of the best managed parks in India, has won many awards, and is a prime destination for many safari tours. The park is well known for having a significant number of Bengal tigers and for rescuing the Barasingha (swamp deer) from near extinction by creating a breeding program. It is also home to many species of animals and birds – there’s always a lot to see in Kanha, even if you don’t spot a tiger or leopard. 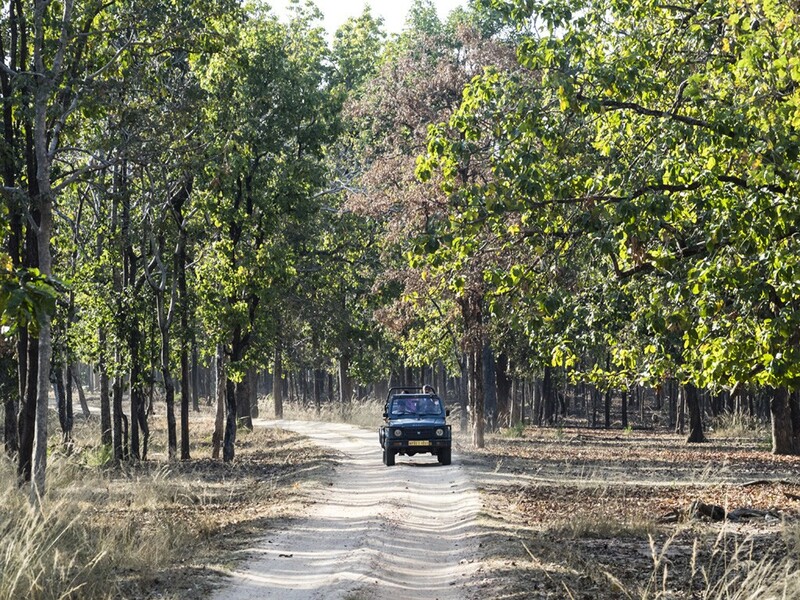 Bandhavgarh National Park is about a four or five-hour drive from Kanha, and is equally good for spotting tigers. It’s smaller, at 400 square kilometres, but it has one of the best tiger densities in all of India. Bandhavgarh is also a very beautiful park, with a hill-top fort, striking cliffs and some amazing vistas and vantage points. Photographers tend to love Bandhavgarh. 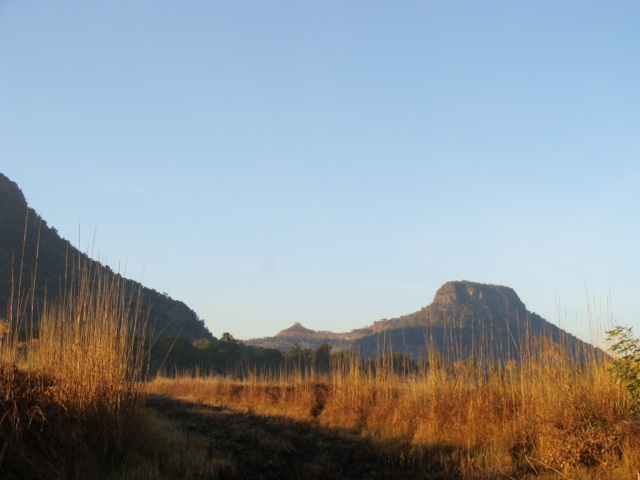 About 22 species of mammals and 250 species of birds have been recorded in this park. Pench National Park stretches along the southern boundary of Madhya Pradesh and is named after the Pench River that meanders through it. 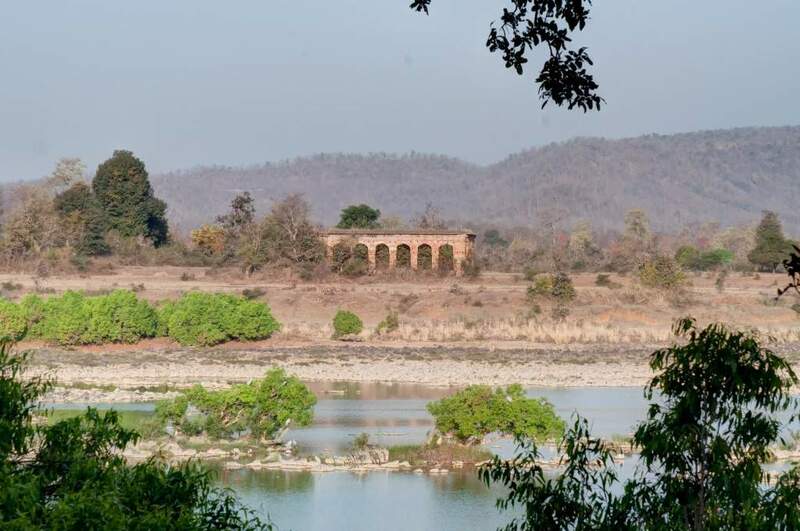 Pench is famous as the location that inspired Rudyard Kipling’s The Jungle Book. 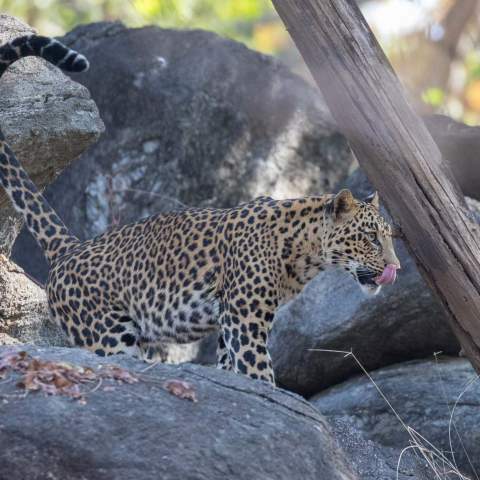 The park is a good place to spot leopards and many birds, including migratory birds drawn to the waters of the wide and shimmering river. 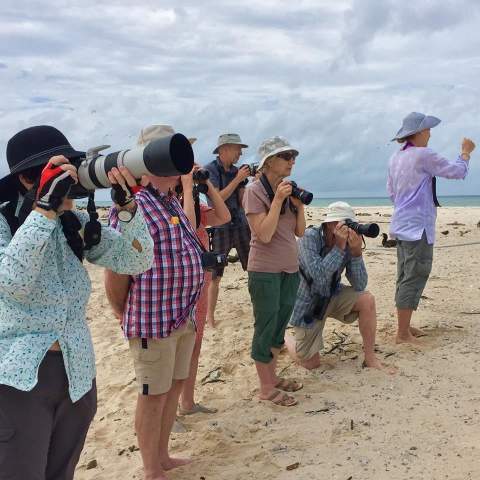 It’s rich in wildlife, birds and plant life, with more than 1,200 species of plants recorded. Pench tiger reserve has highest density of herbivores in India. Panna National Park is another important tiger reserve in Madhya Pradesh. It’s located just a short drive from the UNESCO World Heritage site Khajuraho in the northern part of the state. The core zone is 543 square kilometres of very picturesque scenery owing to the Ken River, deep gorges, lush greenery and cascading waterfalls. 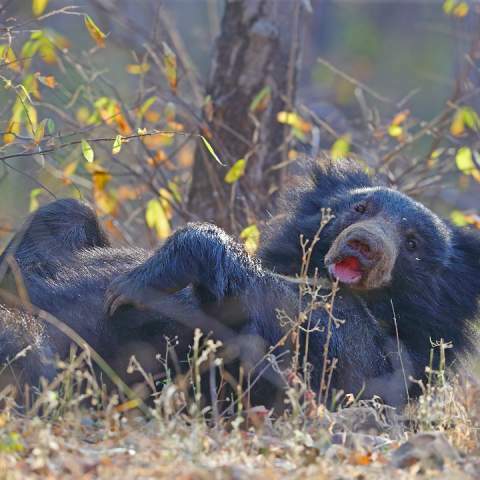 Wildlife sightings are common in Panna as the park is rich in many animals including tigers, leopards, sloth bears, wolves, blue bulls, foxes and many others. The park boasts one of the highest densities of the gorgeous Paradise Fly-Catcher. Would you like to visit one of these national parks? Mantra Big 5 Private Tour visits Pench, Bandhavgarh and Kanha National Parks. Mariellen Ward is a Canadian travel writer and digital storyteller. Her award-winning blog Breathedreamgo.com is one of the world’s leading travel blogs about India. Mariellen is an advocate of female solo travel and responsible travel. She has been blogging since 2005 and splits her time between Delhi and Toronto. Though Canadian by birth, Mariellen considers India to be her “soul culture” and has spent many years immersing herself in the culture. You can also find Mariellen, as Breathedreamgo, on Facebook, Twitter, and Instagram.